I’ve published a piece at the WhatTheyThink blog in response to last week’s outbreak of terrorist violence in France. As the world knows, a part of this terrible drama was played out at a printing plant near Paris. I couldn’t let the symbolism of the incident pass without comment. Sad but necessary to say, as members of the printing industry, we are all in this fight for freedom of expression together. The following news was furnished by Printing Industries Alliance—Ed. 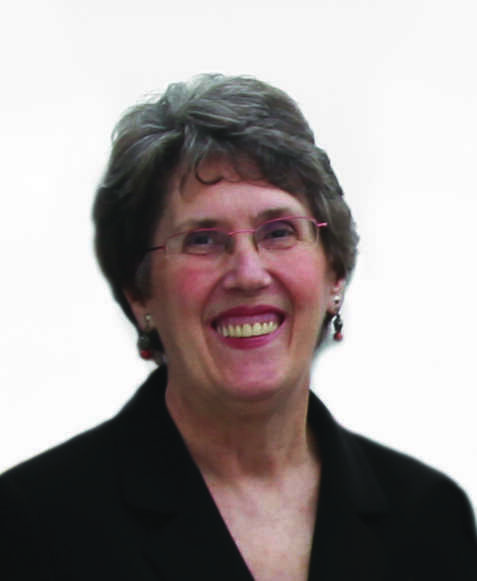 Printing Industries Alliance (PIA) announces the retirement of Vice President Vicki Keenan, effective October 1, 2014. Vicki joined the organization as Vice President in 2006 as part of its expansion into the New York metro region. She made an immediate and positive contribution by assisting the organization in understanding the various elements and concerns of the metro New York graphic communications industry. From 1993 to 2006, Vicki served as Vice President, Executive Vice President, and President of the Association of Graphic Communications (AGC), a former regional affiliate of Printing Industries of America. A consummate professional, Vicki has devoted much of her career to representing the industry’s interests with regard to federal, state, and local governmental affairs. In this capacity, she has been involved in a variety of critical issues including sales tax on postage and direct mail, clean air regulations, and creation of an $8 million Printers Relocation Fund, to name just a few. Vicki started her career in Washington, D.C., with successful positions as a senior government and public affairs representative for the National Newspaper Association, Bechtel Corporation, and the American Consulting Engineers Council. She has served for many years on the New York City Department of Education’s Graphic Arts Industry Advisory Commission. She was a founding board officer of the Graphic Communications Scholarship Foundation and a member of the East Orange (NJ) High School Printing and Graphic Communications Center Advisory Committee. She represented the industry on two New York City Mayoral Advisory Committees, Small Business and Graphic Arts. In 2012, she was honored with the Gold Key Award and inducted as an honorary member of Gamma Chapter, Gamma Epsilon Tau, an international Graphic Arts Honor Society at New York City College of Technology. Vicki also has been instrumental in developing the annual Franklin Event (now the Franklin Luminaire Awards) into the premier networking event in the graphic communications industry. Vicki Keenan will be honored with a Lifetime Achievement Award at this year’s Franklin Luminaire Awards program on September 17, 2014 at Pier Sixty in Manhattan. For further information contact Printing Industries Alliance at 716-691-3211. Printing Industries Alliance, a printing trade organization with offices in Amherst, NY, and Roselle Park, NJ, serves graphic communications firms in New York State, Northern New Jersey and Northwestern Pennsylvania. COMMENT: This writer has had a decades-long relationship with print industry trade groups, past and present, throughout the New York metro region. No officer that I have ever met in any of these organizations has done as much to defend and promote the industry’s interests in the public sphere as Vicki Keenan. As PIA members know well, virtually every print-friendly legislative or regulatory change that has taken place in the region over the last 20 years bears her imprint. A consummate governmental insider with the instincts and the skills of an investigative journalist, Vicki has compiled a record of service to the industry that is unique among association executives. It’s a pleasure to add my voice to what’s sure to be an enormous chorus of gratitude and praise on the occasion of her retirement. James Gulliver Hancock is an Australian artist who came to New York City and promptly fell in love with the diversity and visual richness of its architecture. 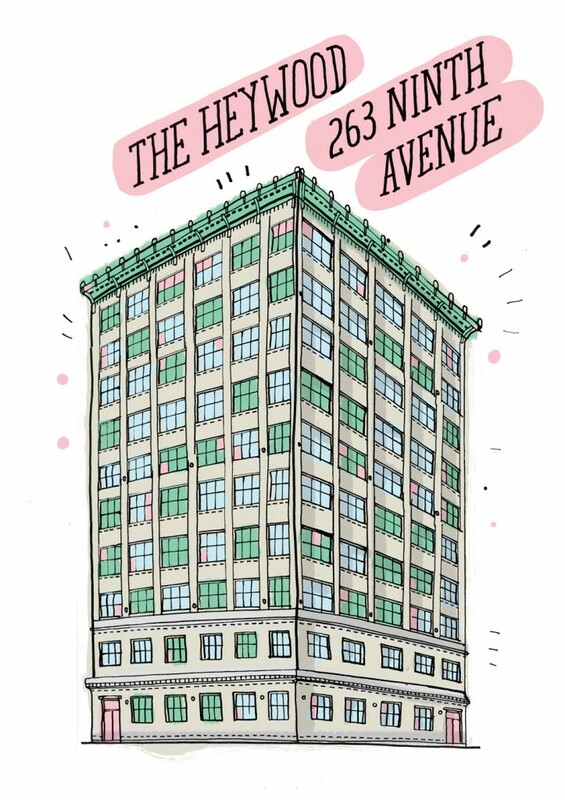 He’s made it his life’s work to illustrate every metro building he’s set eyes on, and the results can be enjoyed in his just-released book, All the Buildings in New York: That I’ve Drawn So Far. I became aware of it at Brain Pickings, an online compendium of “interestingness” curated by the journalist Maria Popova. She chose a number of Hancock’s illustrations to decorate the post, and one of them, the depiction of “The Heywood” at 263 Ninth Avenue, looked familiar the instant I glanced at it. A little Googling helped me to recall it as the former home of a firm that many other members of the graphics industry in the metro area also will remember well: Tanagraphics, later TanaSeybert, a company I visited many times on editorial assignments as well as on field trips for my classes at NYU. Ideally situated to serve the metro market from its multi-story location on Ninth Avenue between 25th and 26th Streets, Tanagraphics was for many years one of the region’s foremost providers of graphic reproduction services. Its 2004 merger with the Seybert Nicholas Printing Group formed what was then said to be the largest privately held print management company in New York City. The following year, TanaSeybert decided to consolidate operations at a 140,000-sq.-ft. plant it purchased at 525 West 52nd Street. Alas, the new home was not destined to be a permanent one, as the decline of the metro print market and other factors forced TanaSeybert into Chapter 11 in 2009. Shortly afterwards, the company was acquired by Unimac Graphics and relocated to Unimac’s facility in Carlstadt, NJ. After Tanagraphics moved out of 263 Ninth Avenue, the building underwent the same transformation that has deprived New York City of so much else of its former manufacturing space: conversion to residential condominiums. The Heywood now comprises 50 high-end loft residences with 12.5′ ceilings, 8′ windows, and views to die for. Christine Quinn, City Council president and mayoral candidate, lives at The Heywood with her partner. Living spaces in what used to be Tanagraphics production areas sell for seven figures—more money than many small graphics firms in the metro area see as revenue in a year. Do the current residents of The Heywood hear the ghostly rumble of long-silenced offset presses while inhaling phantom vapors of litho ink and hot-melt glue? For their sake, we hope not. But for those of us who pass by 263 Ninth Avenue with memories of what the building used to house, the associations with print will always be there. Our thanks to Mr. Hancock for reawakening them. 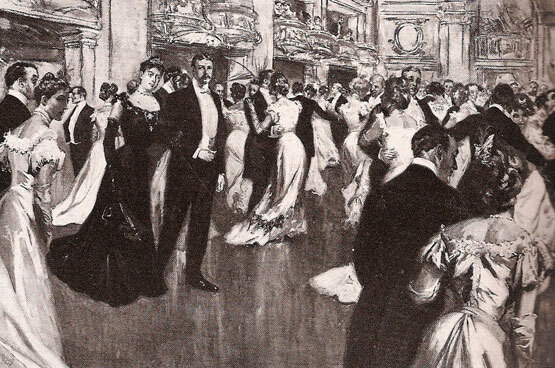 During America’s Gilded Age, the acme of the upper crust was the so-called “Four Hundred.” Within this elite circle, it was said, dwelt the people most worth knowing in high society—those who really mattered in the realms of haute style and elegant taste. The graphic communications industry has a less snooty but no less distinctive “Four Hundred” of its own: the Printing Impressions Top 400, an annual ranking of the leading commercial printing companies in the U.S. and Canada. We were reminded of it by a press release issued recently by Haig Graphic Communications (Hauppauge, NY) proudly noting the company’s inclusion on the 2011 list. Because the original “Four Hundred” were denizens of New York, we wondered how well represented the region is in the PI rankings. So, we combed the list for firms based in New York, New Jersey, and Connecticut. What we found was clear evidence of how important a graphic communications manufacturing center and market the three states continue to comprise. We’re a bit biased, but we believe that the cream of the industry’s equivalent of the “Four Hundred” are right here in the territory served by Metro Graphics Reporter. Together, the 48 firms listed alphabetically below make up an impressive share of the total, accounting for nearly $2.2 billion in sales and employing more than 9,200 people. Next to each name is its ranking in the 2011 list and its self-reported annual sales (in millions). The PI Top 400 is published in the magazine’s December issue. If you believe that your company should be on it, write to Printing Impressions, Attn: Special Projects Editor, 1500 Spring Garden St., 12th Floor, Philadelphia, PA 19130. Shocker! NYS Legislature Actually Prints Things! Toshiba may have dropped its plans for a national no-print day, but some New York State lawmakers remain on the warpath against paper. But what, we ask, makes it right to blame the printed matter for the lawmakers’ failure to read it? What evidence is there that turning a printed document into an e-mail message or a PDF raises its likelihood of being perused while it’s still timely? Let him who is without backdated clutter in his e-mailbox cast the first stone at print, in legislative chambers or elsewhere. “Actually”? The writer might want to take a look at compilations by In-plant Graphics of the nation’s largest in-plant printing operations. State-operated printing plants (although not New York’s) are among the leaders in staffing and sales volume. “Whole forests are destroyed to comply with this quaint and, in this day and age, entirely unnecessary tradition,” the editorial goes on to say in language that Toshiba surely would have found quotable. There’s probably no realm of government, business, or private life where consuming somewhat less print wouldn’t be a good idea. But attempts to enact outright bans on print are nowhere close to being realistic—even if the online version of a printed newspaper, apparently forgetting the siege its primary medium is under, believes otherwise.